Most of you may not know that Bulgari (the famous jewellery designer and maker) comes from Greece. 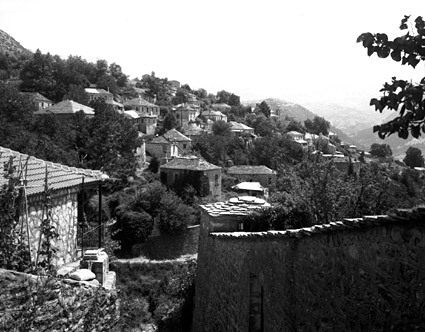 All began in the middle of 19th century when a poor silversmith from Epirus (Kalarites) (photograph) tried to sell his creations as wandering in the wid er region. His jewels were real work of art and from 1850 onwards the founder of the Bulgari dynasty, Konstantinos Boulgaris creates the bases of the famous jewel house. His son Giorgos took over, married Helen Strugari in Param ithia and they made a family of 11 children from which only one survived, Sotiris (photograph) that was given birth in 1857. This was the future of dynasty that finally made this famous house of jewels. 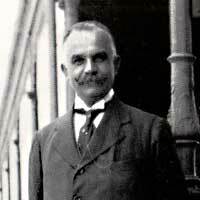 In 1877 he left Paramithia and he moved to Corfu which constituted the turning-point of his carrier while little later he opens the first shop in Naples, of Italy. <!–[if gte vml 1]> <! [endif]–><!–[if !vml]–><!–[endif]–>The robberies in the region forced him to move once again this time in Rome and create the world famous shop of Via Sintina (from 1884). After his death in 1932, his two sons (Giorgos and Konstantinos) undertook. The second shop that opened the house was in Via National Electrical Company Condotti (in the number 10) that still runs. Today it allocates above 60 subsidiary companies all over the world. The empire today is continued by the children of Giorgos Bulgari (Gianni, Paolo and Nicola) that c hanged the name of the House (thanks to facility) in Giorgio. It is considered equal to the houses Cartier, Tiffany and Van Cleef and Arpels. The first shop opened in Greece in 1993 (by Kostas Kesaris in Athens) giving joy to those who have waited for so many years for the famous house in our country.. This entry was posted in explore Greece from "A" to "Z". Bookmark the permalink.